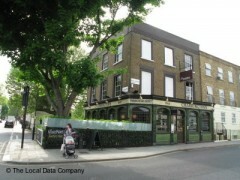 About: Prince Albert is a pub that serves traditional ale on tap as well as a selection of beers, wines and spirits. This place is fantastic. Was there last Friday and could barely get in the place, and little wonder. They run two menus: bar and restaurant, both equally as impressive from what I could see. Plus a specials board that I’m reliably told by a local friend of mine changes on a regular basis. Classy restaurant set-up on the first floor and laid back ground floor bar. Service was friendly and helpful. Food was great. I had the rabbit pie, my partner the turbot. Desserts were divine. Excellent value for money when you consider some of the ingredients they are using. Have already booked my place for Christmas. Highly recommend.